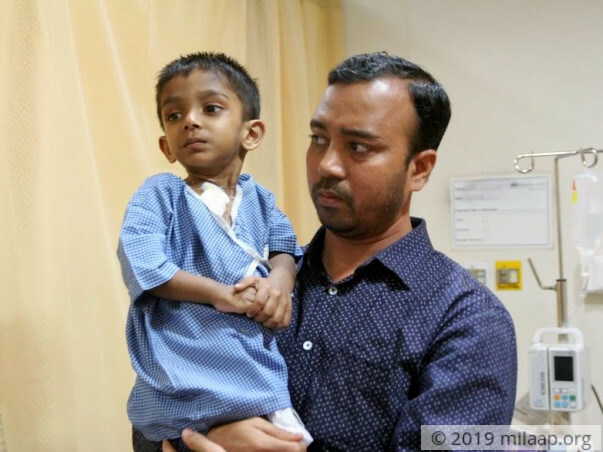 2-year-old Abdul was diagnosed with cancer in his stomach last month, but within days, cancer has rapidly spread to the rest of his body. Sarmin and Didarul are heartbroken. Their once happy and playful child is now too weak to even walk on his own. 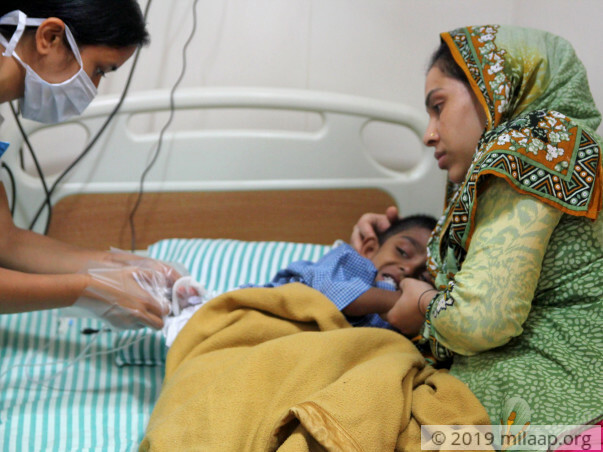 While Abdul lays on the hospital bed getting chemotherapy, his parents not only worry about his life but also about how they’re going to pay for the rest of his treatment. Abdul is running out of time. He needs chemotherapy, surgery and a bone marrow transplant to survive. It’s his only chance to beat cancer. 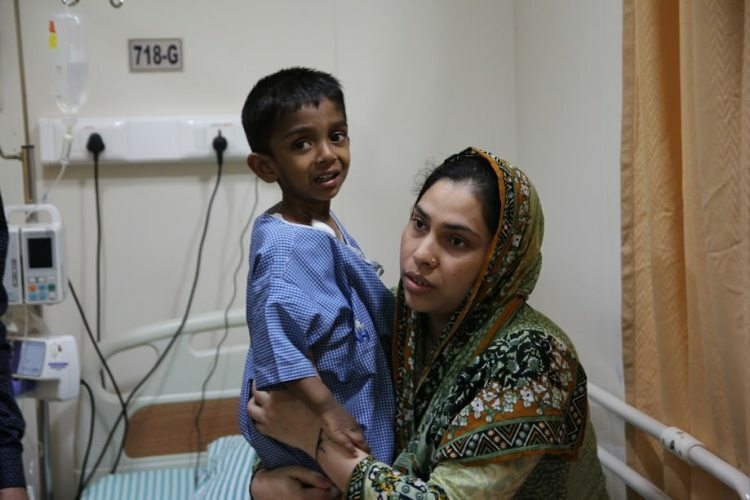 Back home, Sarmin noticed that her son had suddenly stopped eating. She couldn’t even get him to eat his favourite food. A few days later, he had lost weight and was too tired to play with his sister. Sarmin and Didarul were worried, but they never imagined that their son was clinging to life. Abdul’s tumour in his stomach has now spread to the rest of his body. 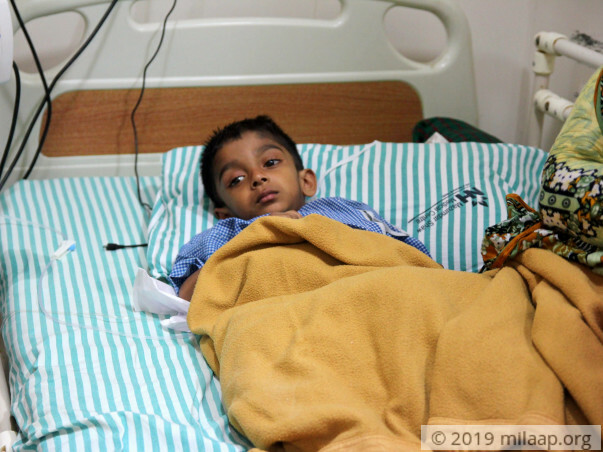 Abdul has started his first cycle of chemotherapy, but he needs 8 more months of treatment, along with a surgery to remove the tumour and a bone marrow transplant. Abdul’s tumour is aggressive. If it spreads any more, he might not make it. 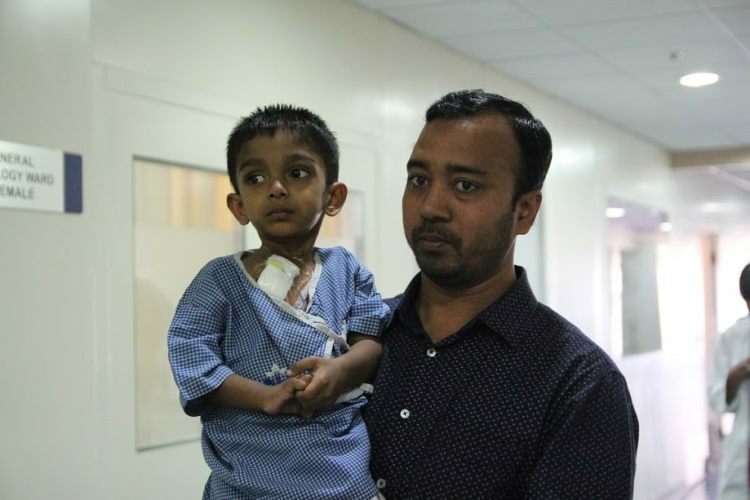 Sarmin and Didarul took Abdul all the way to Bangalore for his treatment. They knew that it was his only chance of survival. Abdul’s battle against cancer has only just begun. 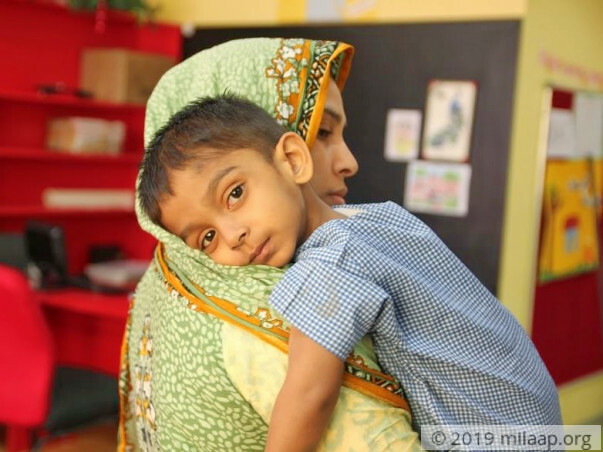 He has a long road ahead of him, but if treatment is continued, Abdul can recover, and his parents can finally take him home. Didarul works in a small vehicle shop to try and support the family of four. They have sold whatever little jewellery they had to try and pay for Abdul’s treatment so far, but are now falling short. They need all the help they can get to give their little one the treatment he deserves and save his life. 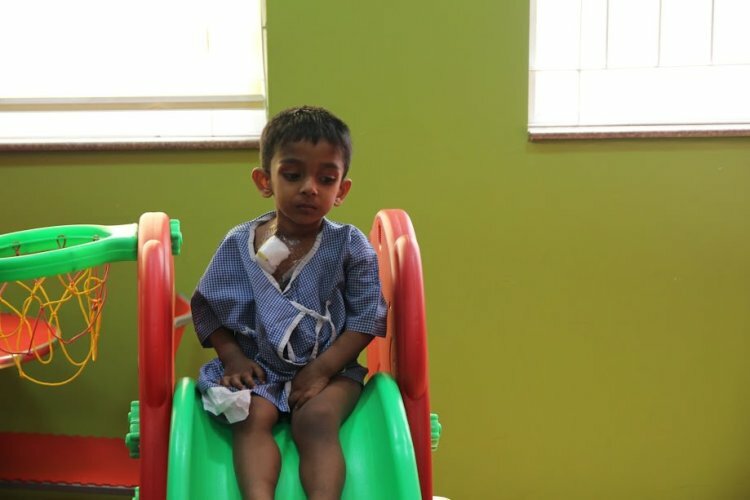 Abdul has a tumour in his stomach that is now spreading to the rest of his body. He has started his first cycle of chemotherapy, but that isn’t enough to save him. He also needs a surgery to remove the tumour, followed by a bone marrow transplant. 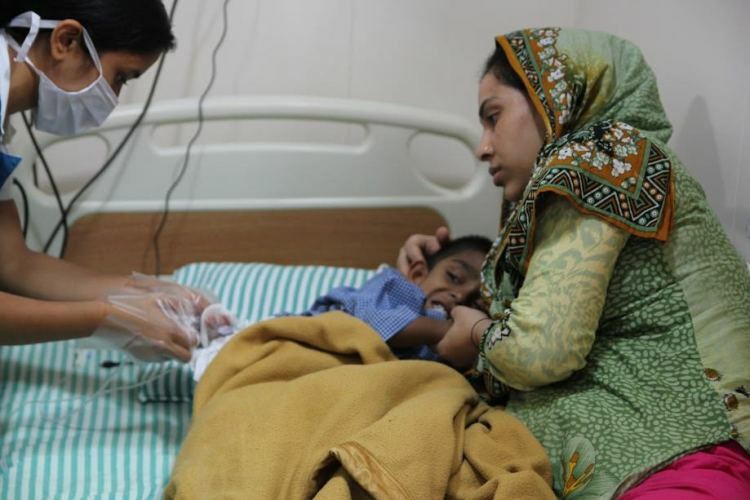 While he has a long way to go, Abdul can make it with timely treatment. However, his parents can’t afford the 22 lakhs needed for his treatment. 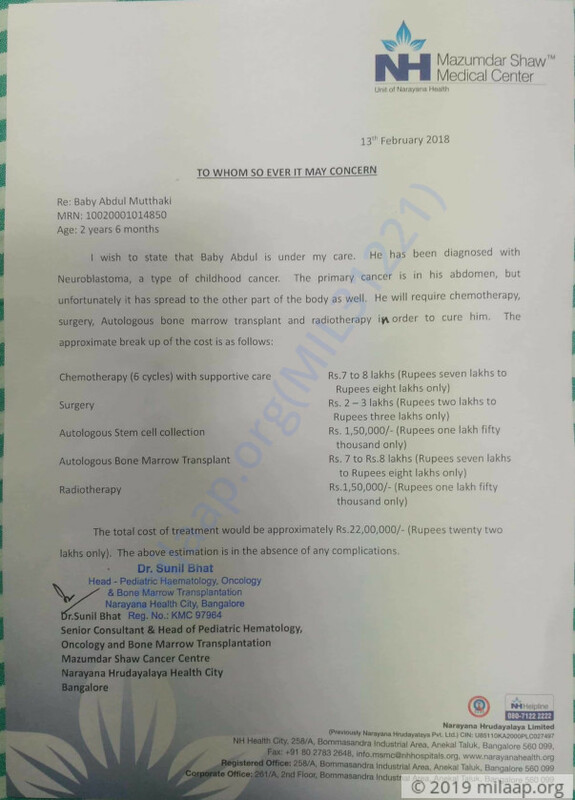 Abdul needs your help to survive cancer. 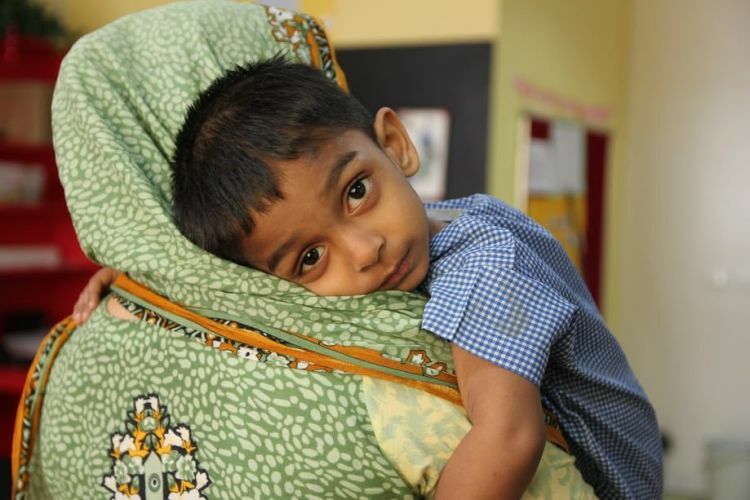 Your support can save Abdul’s life. 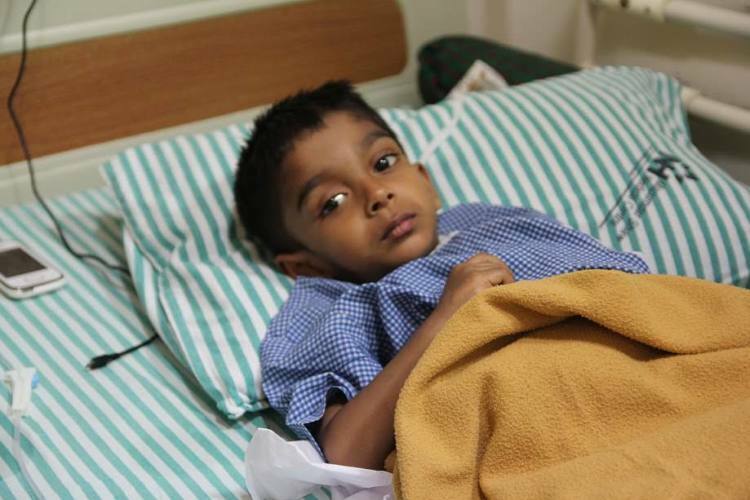 Abdul is on post transplant treatment where he is receiving radiotherapy and is responding well to the treatment. Thank you for the love and support. This couldn't have been possible without you. Abdul has successfully finished chemotherapy and has also undergone the surgery. He is currently recovering and we are observing him closely for any irregularities and his response to the treatment so far. In about two weeks' time, we shall take a call on when to schedule his autologous bone marrow transplant. Thank you everyone once again! We shall keep you posted. Thank you so much for the support you have shown towards Abdul. He has completed 6 courses of chemotherapy and has undergone surgery successfully as well. 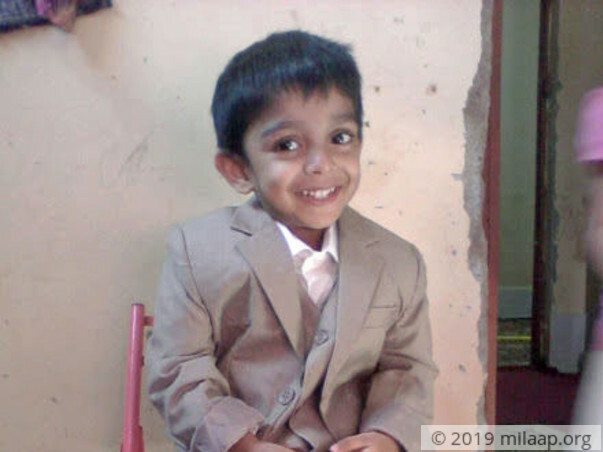 Now he is planned for autologous transplant soon. We will keep you posted on the date. May you be healthy and happy again. Get well my little Angel. God bless you.